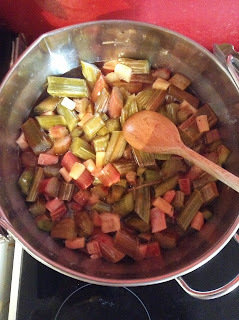 Well at this very moment I am in my kitchen making Rhubarb and Vanilla Jam. While this is reaching Boiling point / setting, I thought I would write an update on things. Well summer arrived and went for a few days, we have rain!!!! but next week it is warming up. 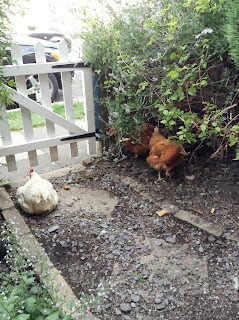 The girls ( my chickens) did not like the heat, it became too hot for them. So I took them out the front of the big house were it is cooler in the afternoon to cool down. And they love it out there. I have August's quilt block to do for quilts from around the world, the block is called X and +, I will show you more when I am making it. The peg bag swap is well underway, two ladies have finished theirs and are waiting for the posting out day to arrive. I need to show you mine too. I have been making more tea towel aprons, just need to attach pockets and ties, will show you them too. 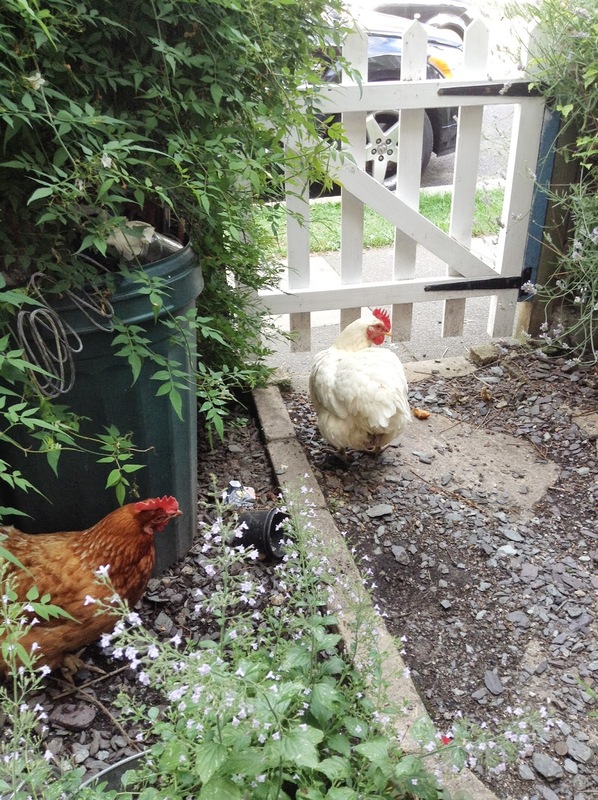 Oh and I have some new doorstops and a Chicken basket cover, to show you. And I have done two classes this summer, fabric box making and red work. I have started crocheting a ponchos for my nieces the smaller on is half complete just need to put it together and add the edging. Yes I need to show you that too. Well I need to go now to test for set on the jam and then jarring up. At the weekend I am off to Canterbury and then off to see my honey bees. I am waiting for two of my hives to produce Queens so fingers crossed. I shall see you all after the weekend with lots of things to show and finish.